2.8 fl. oz. spray bottle. Eliminates Odors AND Freshens Fabrics. For fabrics, carpets, and air. 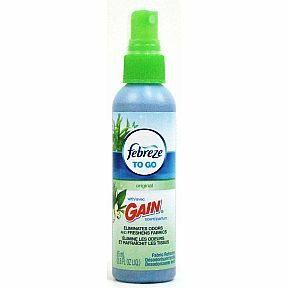 With Gain Original Scent.